Order your Kaweco Skyline Sport 3.2mm Clutch Pencil today from FahrneysPens.com. Fine Pens, Refills & Luxurious Gifts – great prices & fast shipping. Writers have enjoyed the compact convenience and style of the Kaweco Sport pen since 1935. Its German-made, 8-sided design has remained unchanged making it a true classic! 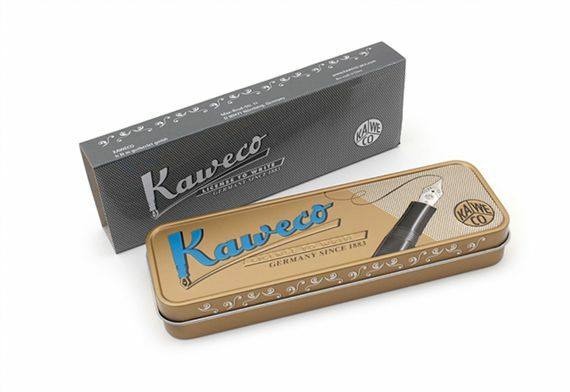 The pocket-sized pen is machined and polished to perfection and packed in a handy Kaweco gift tin. The fountain pen and rollerball have threaded caps and measure only 4.1” closed; 5.2” when posted. 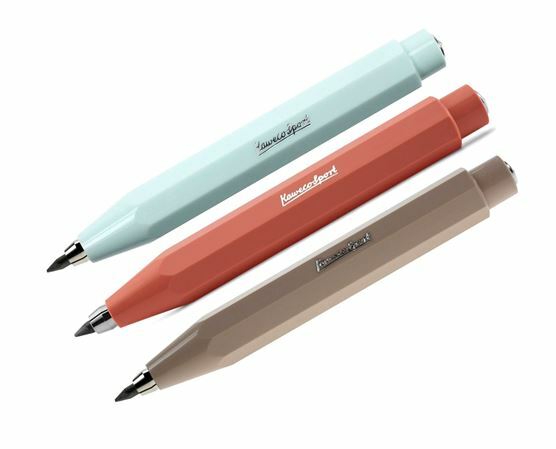 The ball pen, 0.7mm pencil and 3.2mm clutch pencil feature an easy push-top mechanism. Fountain pen is offered in five nib sizes including the popular ITALIC point. Enjoy the compact convenience and style of the winning Kaweco Skyline Sport pen!